Running from April 3 to 24, is a photography exhibition showcasing marine photographs from participants in the 2018 Neville Coleman Nudibranch Dive Event. The free opening night and award presentation event is on Friday, April 6, from 7 to 8.30 pm. Wine and nibbles are provided. The event, run annually by South Australian Conservation Research Divers (SACReD), celebrates South Australia’s amazing sea slug fauna, and honours the late Neville Coleman, the pioneering underwater naturalist, photographer and author. 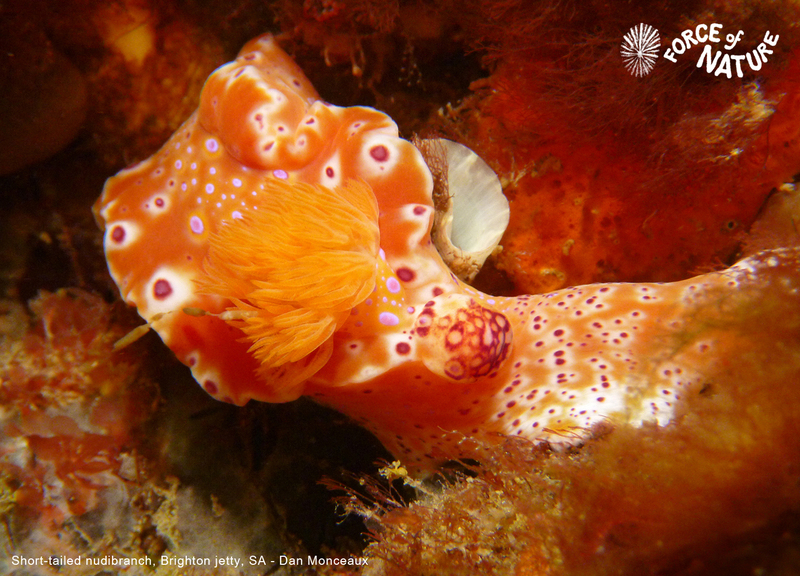 The exhibition will also include a slideshow of nudibranch species and other sea slugs from South Australia, as well as marine-themed gifts and merchandise, including cards, jewellery and artwork. Also on show will be a range of marine-themed glass art by Stephen Skillitzi, Kuoni Creative’s feature artist for April. Force of Nature artists Dan Monceaux and Emma Monceaux will be showing photographic prints and scarves featuring patterns inspired by nudibranchs. 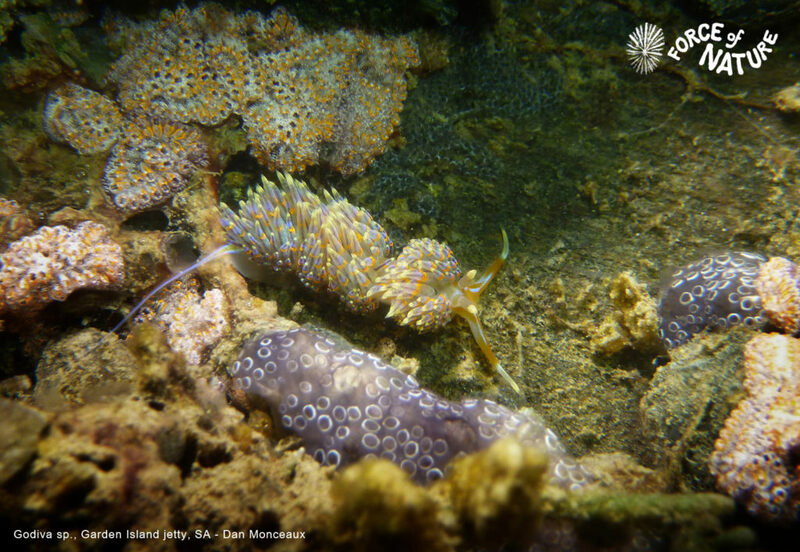 Over summer, nudibranch lovers dived, snorkelled, photographed and undertook citizen science research across South Australian coastal waters. Part of the annual event involves a photographic competition with entries professionally judged across a number of categories. In 2018, the Neville Coleman Memorial Nudibranch Dive event awards will be presented at the opening night of the photo exhibition at our gallery (April 6).